The Sony RX0 camera may not fit neatly into the usual camera categories, but the tiny waterproof camera is stretching its capabilities even more with a second rendition. 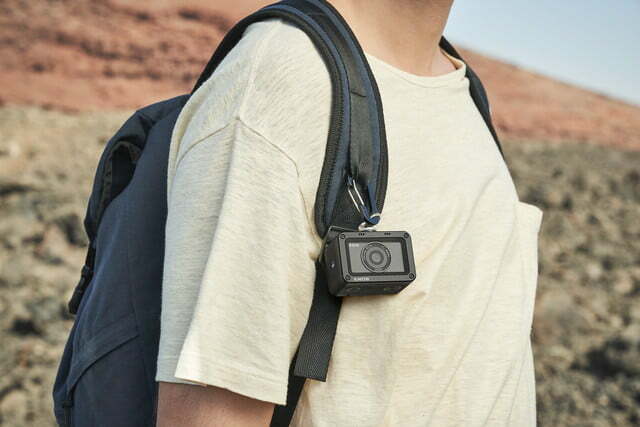 Late on Monday, March 25, Sony announced the RX0 II, a small waterproof camera that is a hybrid mashup of the most popular features from action cameras, dedicated video cameras, and advanced compacts. The second generation packs in the same sensor and lens, but ads a tilting LCD screen, internal 4K recording, advanced eye-tracking autofocus, and more. The Sony RX0 II uses a one-inch stacked 15.3-megapixel sensor paired with a Zeiss Tessar T 24mm f/4 fixed lens. While those specs are the same as the predecessor, Sony expanded the camera’s video capabilities to allow for 4K at 30 fps without external recording equipment. The camera oversamples 4K video by 1.7 times with full pixel readout and no pixel binning for enhanced detail. The small camera still has room for a microphone jack. For video, the Sony RX0 II also adds electronic stabilization. Video can be shot at up to 1,000 fps for slow motion, while uncompressed 4K using external recording is also available. Using the Movie Edit Add-On app, users can also enhance the stabilization algorithms or access features like Intelligent framing using a smartphone or tablet. Like the predecessor, the Sony RX0 II is also designed for multi-camera setups, with an app syncing up to five cameras wirelessly or a control box for shooting with up to 100 cameras. A third multi-cam recording option uses the app to control up to 50 cameras with an access point and will launch this summer. But the Sony RX0 II is designed to cross the usual camera boundaries and packs in a handful of updates for stills, too. The anti-distortion shutter can shoot at up to 1/32,000 of a second, maintaining the 16 fps maximum of the predecessor. According to Sony, the Bionz X processor offers better color reproduction, including skin tones. The camera’s autofocus system uses an updated eye autofocus mode, improving speed and accuracy of photographing people. Sony also added a Soft Skin Effect to smooth skin in-camera. 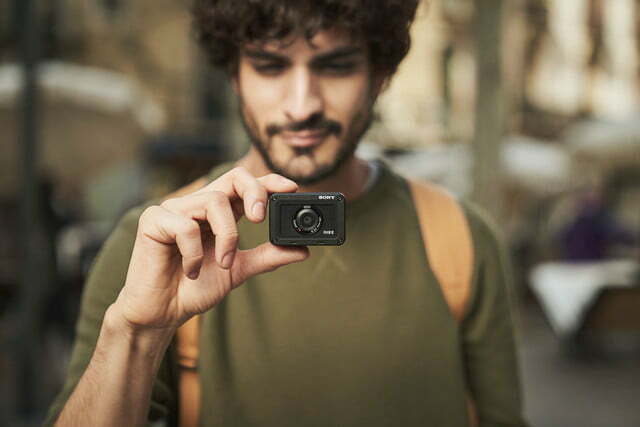 The body adds a new tilting LCD screen that includes a 180-degree flip for vlogging, but despite the new screen, Sony says the RX0 II is the smallest and lightest premium compact camera. The RX0 II weighs less than five ounces, measuring about 2.3 inches on the longest side. The camera’s waterproofing allows for diving down to 32 feet, alongside withstanding drops of up to 6.5 feet. 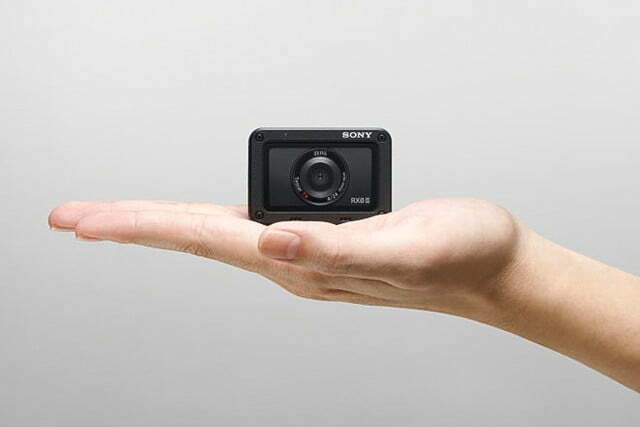 The original Sony RX0 created a new category of ultra-compact cameras, mixing the waterproofing and size of an action camera with the autofocus and sensor of an advanced compact still camera — and then adding multi-cam capabilities on top of that. 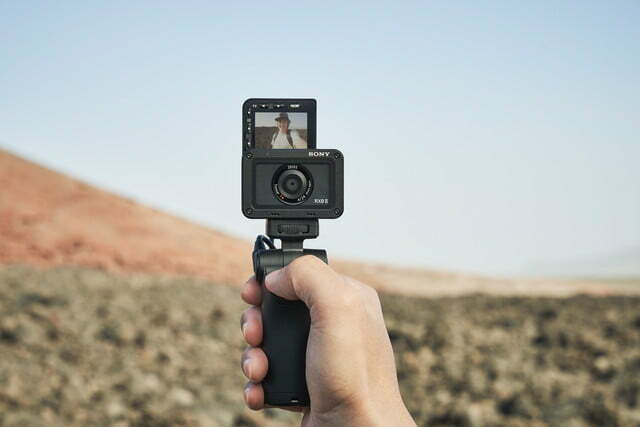 The mix of features allows the camera to be suited for more than one type project and adding a flip screen may help expand that to vloggers as well. 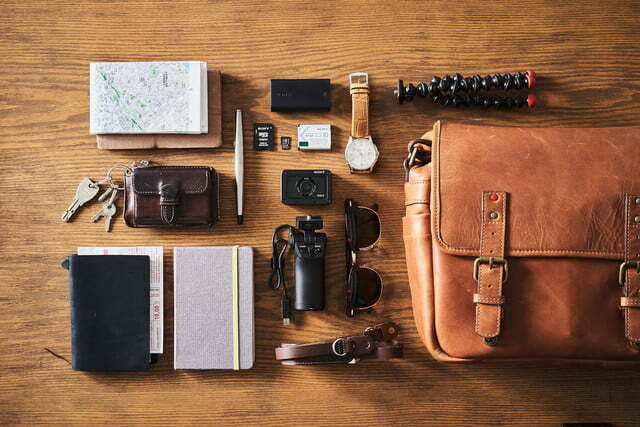 Sony will also launch an optional shooting grip that the company says is ideal for vlogging. The Sony RX0 II begins shipping next month, listing for $700.